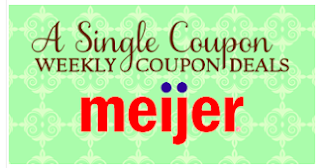 Meijer: Unadvertised items in the buy 8, save $8 sale! I had $1 and $1.25 coupons that printed at the Meijer catalina machine last week! Making them $.30-$.55 a pack!